Not only is it good for playing innuendo bingo, it’s also a highly developed new technology that’s recently come on the migraine scene. I look a bit silly using it – you have to hold it against your neck and it makes your face look funny (no change there then!) which makes me want to laugh, but it makes my laugh sound proper weird, which makes people try to make me laugh all the more. But I don’t mind. As one friend said, “you just have to own it”. And looking silly is a small price to pay if it actually works – we should know within a few months. We’re trying not to get too excited that this might be THE ONE but at the same time we’re very keen to give it a go. Sooner or later something has to work. 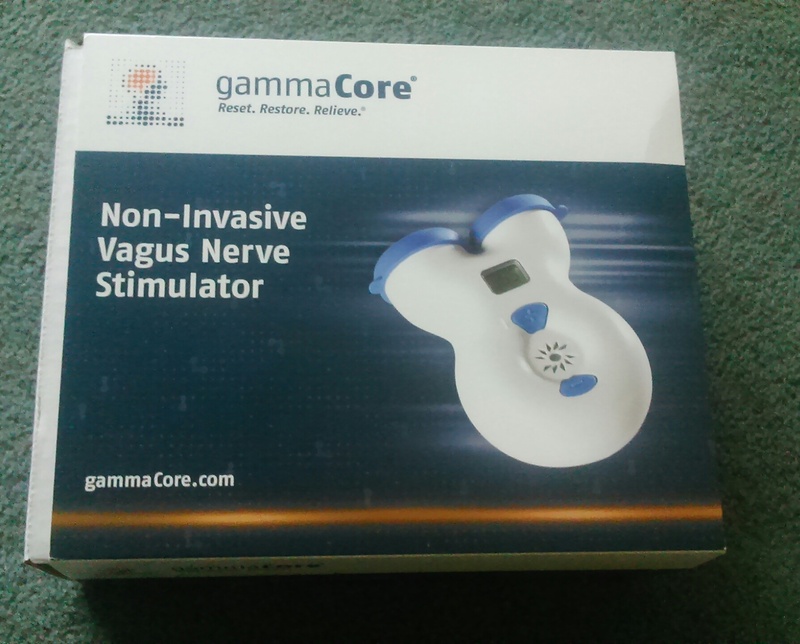 This entry was posted in My story and tagged chronic migraine, gammacore, hopeful, new treatments, science, technology, treatment plan, vagus nerve stimulation. Bookmark the permalink. I look forward to hearing what you have to say about it.